"Victorian Carriage House". This etching was created and printed in 1939 and is editioned as 13/100. 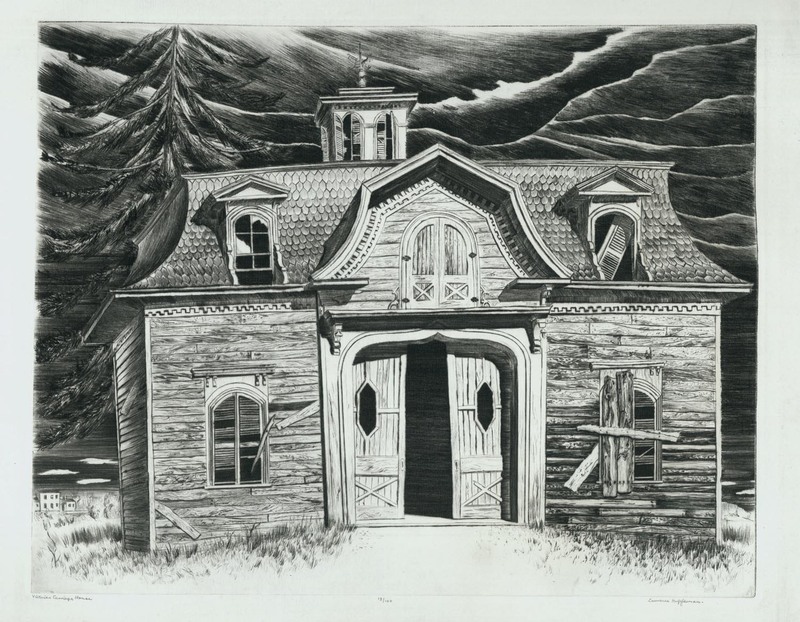 The etching is signed and titled in the lower border, the image measures 9 3/4X11 5/8 inches. This is an original oil on canvas painting by Well Known British Marine painter, James Webb. 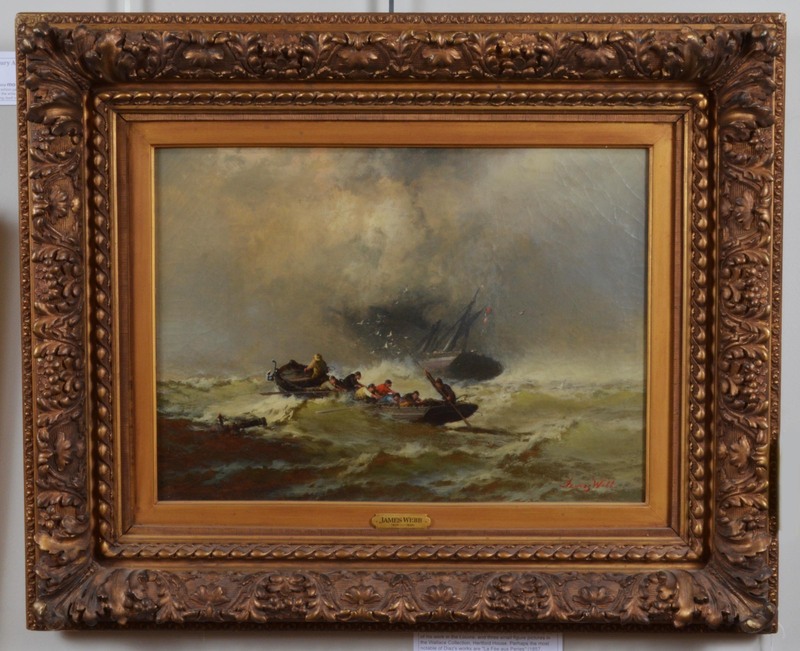 This painting shows a life boat coming to the rescue of a foundering ship. The painting is clearly signed lower right and has an image size of 18X22 inches. The painting itself has some cracking to the paint but everything is quite stable. In evidence of any inpainting or touch ups. This work came to us in what appears to be the original 19th century frame. James Webb was a member of the Royal Academy and live his entire life in Chelsea.